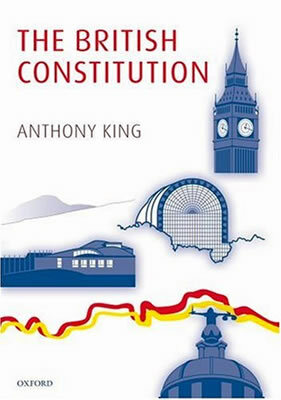 A new book on the British constitution by Anthony King examines what has altered over the last 35 years. Review by Paul Feldman. Britain famously does not have a constitution with a capital C, a single framework document that exists, for example, in the United States. What it does have is a constitution with a small c. Britain has what Anthony King describes as the set of “the most important rules and common understandings” that regulate the powers and limitations of the governing state institutions and their relationship with the people. In this readable and important book, King, who is an eminent political scientist, sets out to explain how the relationship both between institutions and with the population at large has altered radically over the last 35 years. While he remains a somewhat complacent optimist, seeing no need for radical change, King along the way reveals some potentially fatal flaws in the British constitution as it functions today. In many ways, his conclusions do not logically follow from his analysis. This is especially the case when he examines the diminished power of governments as a result of globalisation of the world economy and the increasing reluctance of the electorate to “engage” with the political process. King is also perceptive when analysing the doctrine of “parliamentary sovereignty”, which 19th century scholars like Walter Bagehot placed at the centre of the constitution. He demonstrates that Parliament in the shape of the House of Commons is not only far from sovereign but is essentially a powerless body. Outside bodies – business organisations, professional organisations, trade unions, pressure groups of all sorts – were frequently consulted and their views were frequently sought. But outside bodies remained precisely that: outside bodies. Consultation was not to be confused with active participation in the making of policy. Another level at which the British system worked was that, according to King, it “actually delivered the goods”. This ranged from safe drinking water, railways, old age pensions, the NHS, social housing and basic liberties. However, the danger is that if the constitution for any reason ceased “to deliver worldly success, it would itself begin to be called into question”. While King is here referring to the “old” constitution, it is just as relevant an issue – if not more so – in relation to the altered one, as we shall see. The story of the rest of King’s book is how the “old” constitutional relationships have given way to something else, adaptations that owed much to pragmatic reactions to new circumstances rather than thought-out, conscious responses. In brief, these circumstances include the end of empire, the decline of the British economy, the end of social deference, the ending of the post-war political consensus, the rise of a militant labour movement from the mid-1960s and the influence of the left in the Labour Party in the early 1980s. Perhaps the most significant changes have resulted from the decision by Britain to join what was then called the European Common Market on January 1, 1973. British capitalism had arrogantly stood aside when France, Germany, Italy and other countries on the continent had formed a trade bloc in 1957 by signing the Treaty of Rome. But the economic crisis from the mid-1960s on had exposed the weakness and backwardness of Britain’s manufacturing base. So the Tories under Edward Heath finally overcame French resistance and negotiated entry into the Common Market. 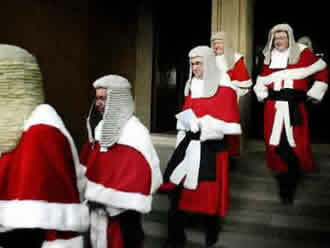 Under the European Communities Act 1972, the British courts now owe a legal duty to give effect to laws created by a significant power outside the British state. In particular, the British courts now have both a duty and an ability, which they had never before possessed, to refuse to give effect to legislation passed by the British parliament on the grounds that the law in question is in breach of European law … for all practical purposes and at least for the foreseeable future, the British parliament is no longer sovereign. It has conceded much of its power to the institutions of the European Union and, in so doing, has conceded substantial powers to the British courts. None of these consequences were anticipated by the British state when the country joined the Community. The government at the time was primarily concerned about access to markets and not about the consequences in relation to sovereignty. But as the globalisation process got under way, and the Community became the European Union (EU) and a regional bloc as part of the global economy, further constitutional implications have become apparent. As the remit and power of the EU has been extended, so too has the power that the EU’s institutions can exercise over national governments. The capacity of national governments to veto decisions in the Council of Ministers has been reduced drastically. When you add in the areas of agriculture, fishing, environmental policy, VAT and so on it is clear that the British state’s former powers are severely diluted as a result of the development of globalised capitalism and its regional form in the shape of the EU. The story of British local government during the past half-century is in large part a story of its cumulative loss of autonomy, its cumulative loss of freedom and its cumulative loss of power. These losses have been on such a scale that in the early twenty-first century the word ‘government’ in the phrase local government really does need to be put in inverted commas. The details are well established and the changes began when Thatcher’s free-market capitalism came up against what King calls the tendency towards “unthinking collectivism” that pervaded local government. Over the following 20 years, the power to raise revenue locally was abolished, local authorities that opposed Tory policies like the Greater London Council were abolished, many services were compulsorily privatised and government started to lay down what could be spent and on what services. Whitehall achieved this through a financial takeover. In the early 1980s, locally-generated revenues amounted to about half of the total; it fell to 15% at the end of the century and is currently around 20%. The government specifies each and every local authority’s grant in minute detail. Deprived of funds to renovate estates, local councils have resorted to transferring vast swathes of their housing stock and have seen schools given their own budgets from Whitehall. The creation of so-called academies by New Labour – which are run independently of councils, alongside the private funding of new schools – has hastened the effective demise of local government. This counter-revolution leads King to conclude that local government is “no longer, in any meaningful sense, a part of the British constitution”, having been “imprisoned and disembowelled”. While local government is now under centralised control, the British state has fragmented in other directions. The home rule arrangements for Wales and to a greater extent Scotland have, King argues, further diminished the role of the Westminster parliament in the British constitution. Scotland has its own legislative parliament and the MPs the country sends to Westminster paradoxically have little say in what goes on north of the border. They do, however, vote on matters that affect England only and New Labour would almost certainly not survive if it wasn’t for Scottish MPs. A future Tory government could well be tempted to rationalise this situation, which could provoke moves towards full-scale independence in Scotland. Commentators frequently refer to the decline of parliament – that is, the House of Commons – in recent decades, but parliament’s decline as a legislative assembly began in the middle of the 19th century and was complete by, at the latest, the 1880s or 1890s. Nothing much of constitutional significance has happened [to parliament] since then… It goes without saying that the British House of Commons is now, and has been for a very long time, the archetypal arena assembly. It is simply not equipped to function as a transformative legislature, and of course governments of all political parties are anxious to ensure that it never, ever becomes so equipped. Prime ministers scarcely go to the Commons except to answer questions once a week. Parliament is often in recess and the chamber is mostly empty because there are usually so few MPs inside. Bills are drawn up and introduced by the government or they stand no chance of becoming law. Increasingly, policy announcements are made through the media where once the custom was to inform parliament in the first instance. But while parliament has remained dormant, the executive branch of the constitution has strengthened in the past period of history. The position of prime minister – which predates the US president by some decades – has, for example, become more powerful at the expense of the cabinet. The Downing Street apparatus has grown and reports directly to the prime minister of the day. And the relative independence of the civil service has been ended by converting its key personnel from their old role of giving advice to ministers to becoming managers of the system. The changes began with Thatcher and continued under her successors. The driving force for these changes is to be found in the role of government in making sure that the state is “fit for purpose” as social, economic and political conditions evolve. The British state was battered by the economic crisis from the 1960s onwards. It seemed incapable of developing policies that offered a way forward. Thatcher’s election signalled a more aggressive role for government, which set out to bring the apparatus of the state into line with the requirements of a free-market economy. This meant breaking up the old state arrangements in a variety of ways. Industries previously state owned and managed – including air transport, gas, electricity, water, steel, public transport and telecommunications – were privatised. Others like coal were rationalised through large-scale closures. No longer were civil servants in charge of hundreds of thousands of industrial workers. No longer was government responsible for directing large areas of the economy. Now it was all about managing the process to ensure that the modern needs of capitalism were facilitated by the state. Areas the state could not divest itself of - for example, the prison system - were driven out of Whitehall and handed to “executive agencies” with their own directors and chief executives. Other semi-state bodies appeared and became known as quangos – or quasi-autonomous, non-governmental organisations. Regulatory bodies were created to oversee newly-privatised industries. It goes without saying that in due course those responsible for the senior civil service developed new recruiting and training mechanisms; but a more subtle and more constitutionally significant change was taking place at the same time. Ministers wanted managers rather than policy advisers, they wanted managers who would manage the policies they laid down in the way that they, the ministers, wanted them managed. Civil servants were from now on expected to do the government’s bidding without questioning whether it was right or wrong, practical or impractical. This could mean, for example, providing “evidence” to justify an invasion of Iraq or the abolition of habeas corpus. As King notes: “Can-do, can-deliver officials do not have constitutional continuity as one of their principal concerns – or even as one of their concerns at all.” To make sure they stay in line, successive governments have created “special advisers” – political appointees who can bypass other civil servants and lay down how they should act. And there’s yet another layer – the ubiquitous, highly-paid consultants – who influence policy where once civil servants did. Consultants reinforce the private sector, market-driven ideology that now pervades the state. They also provide a useful employment agency both for civil servants and former politicians as and when necessary. The United Kingdom was a monarchy before it became a constitutional monarchy. It was a constitutional monarchy before it became a system of government built around ministers of the Crown. It was a system of government built around ministers of the Crown before it became a parliamentary system. And it was a parliamentary system before it became a parliamentary democracy. Democracy, whether parliamentary or otherwise, was thus a latecomer on the British political scene. It was a novel feature grafted on to a pre-existing constitutional structure. Largely for that reason, democracy in Britain, in the form of universal suffrage, was accepted as a humdrum matter of political practice long before any widespread enthusiasm developed for democracy as a set of political ideals that deserved to be promoted for its own sake. What is left unsaid is that the real leap to a constitutional monarchy under parliament was established in a revolutionary overthrow of the former rule of absolute monarchy during the English Civil War of the 17th century. A compromise was sought between Charles I and Parliament, but none was forthcoming. The two systems of rule were incompatible and the tide of history was with the rising bourgeoisie, which could not operate or develop trade within an arbitrary framework of royal charters, licences and demands for money. In the end, the King declined to recognise Parliament’s power and lost his head on the executioner’s block. England became a republic until 1660, when, after Cromwell’s death, Charles II was invited to assume the throne as a constitutional monarch. This change was confirmed in 1688 when Parliament rejected the Catholic James II’s son and asked William of Orange to take the throne under terms laid down by the Commons. Some of their power has been taken away from them, not least by the globalised world market economy. Some of it they have given away more or less by accident, as in the case of the European Union. But much of it they have given away consciously and quite deliberately. The Conservative governments of Margaret Thatcher and John Major gave away power when they privatised most of the nationalised industries and handed over the job of regulating them to independent regulatory agencies. Gordon Brown as chancellor of the exchequer gave away power in 1997 when he handed over the setting of interest rates to the Bank of England’s monetary policy committee … one manifestation of the paradox lies in the discrepancy that now exists between people’s expectations of central government and central government’s inability to fulfil many, probably most of those expectations. It also exists in central government ministers’ unwillingness to admit that they cannot fulfil those expectations … their capacity to influence events is but a pale shadow of their predecessors’. This paradox, or contradiction, is extremely important. It shows itself, as King says, in terms of economic power. Having sold their political souls to the devil of the free market, the political class can only stand and watch as the global financial crisis unravels and unemployment begins to rise. While they encouraged house price inflation, they can do nothing when it goes into reverse. Nor can they persuade banks to provide mortgages or keep their rates in line with the official bank rate. When private contractors go bust or pull out of major public sector contracts, which is what Metronet did over the modernisation of the London Underground, the state has to bail them out but cannot make them do the work. Governments can tut tut about fuel and energy prices but won’t and can’t interfere with markets. Furthermore, the state (in England anyway) will not fund care in older age or provide adequate pensions, affordable higher education, build houses for rent or make public transport affordable. Nor will the state act to curb carbon emissions because that would interfere with economic activity (i.e. profits) nor find a solution to terrorism other than by locking up suspects without charge for increasing lengths of time. King, in fact, does not analyse the constitutional change wrought by a sustained attack on human rights by successive governments. Our present authoritarian, surveillance state is a long way from the ideas and ideals of democracy that he makes reference to. In effect, corporate-driven globalisation has undermined the bourgeois democratic parliamentary state.. The coincidence of political and capitalist business interests has forced the state to abandon its former mediating role between classes. Then there seemed a point in voting because you could end up with a government that was different and one that could introduce modest reforms. By becoming partisan for corporate and financial power, the parliamentary state has lost much of its legitimacy and authority and is reduced to acting as the executive political management team for the transnationals. There is no return from this position to some “golden age” because you cannot turn the clock of history back. Present governments and state systems lack the capacity and the will to act, yet the issues mount up. The recession will introduce even sharper contradictions between people’s needs and government. The real paradox is that there cannot be a development of democracy towards something approximating a direct people's democracy within the framework of a parliamentary state in terminal decline. In November 1647, the first recorded discussion on a written constitution for England took place at Putney when soldiers and generals of the New Model Army staged open debates on the future shape of government at the end of the first Civil War. 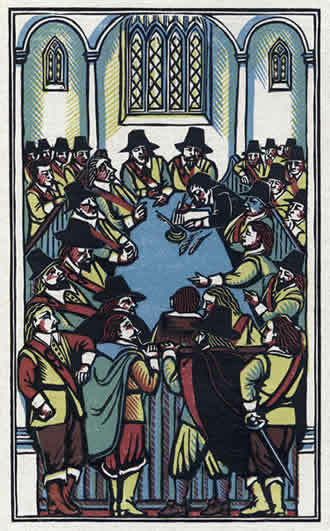 Rank-and-file soldiers influenced by the Levellers had drawn up a document called “An Agreement of the People”. One of its key demands was that Parliament be subordinated to the will of the people. More than 360 years later, this aspiration remains as significant as it was then as a starting point for creating a new power that, by ending the corporations’ stranglehold over our lives, can open up a new chapter in the struggle for democracy and rights.